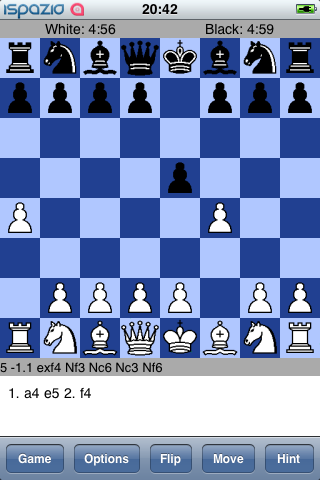 Abai is a new application that will allow us to play chess for free on our iPhone or iPod Touch. There are some cool features, like flip or movements suggestion. Nice game for chess fans. You can download abai via Cydia (repository BigBoss).